Sennheiser’s MKE 600 is the ideal video camera/camcorder microphone for adapting to varied filming demands. 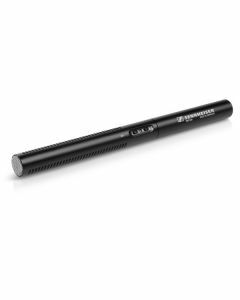 Thanks to high directivity, the MKE 600 identifies sounds coming from the direction in which the camera is facing and essentially attenuates noise from the sides and rear. The switchable “Low Cut” filter additionally reduces wind noise. As some cameras do not provide phantom power, the MKE 600 can also be battery powered and a battery on/off switch prevents the battery from running flat prematurely; a “Low Batt” indicator is displayed to alert users too. An MZW 600 windshield comes as standard in the box, as does an MZS 600 microphone shock mount.